This piece is inspired by leading actress, activist and philanthropists, Omotola Jalade - Ekeinde, who via her works and passion as always promoted the illumination of the African Spirit; the Emancipation of the African mind and the strengthening of the African Character. Most recently, on the 10th of February, 2018 and in celebration of her 40th birthday, Omotola hosted the symposium centered on the “Emancipation of the Black Race from Mental Slavery”. I believe most people have an idea of what it means to be mentally enslaved or at least believe that they do. Some will think of it as a distant mental state, that plagues others but of which they are immune. What would you say if I told you that 99% of all Nigerians are mentally enslaved. I know in typical Nigerian fashion, many have murmured “God forbid” under their breaths and some others would remain confident that they are one of the lucky 1%, for they cannot be part of the madness called Mental Slavery. Probably because they are wealthy, have travelled to many parts of the world or even because they are professors, doctors, lawyers, senators, political leaders, have many degrees or are simply educated. But do not be deceived, rebuke it all you want, be assured that in the mind of every Nigerian lie the chains that have held us long bound in mental slavery not because Mental Slavery is a Nigerian thing, it is the dilemma of the Black Man, no matter the city, country or continent in which he finds himself. In the early 1500's, slaves were transported from West Africa to America through Badagry. It is reported that Badagry exported no fewer than 550,000 African slaves to America during the period of the American Independence in l787. According to Olusegun Mobee in his book, "History of the Mobee Family of Badagry and Their Involvement in the Slave Trade", Mr. Mobee states, "Slaves were never captured in Badagry...As a matter of fact, then, slavery was a recognized institution all over the world. Slaves were employed by Kings, Chiefs, and wealthy people in their houses as domestic servants. A man's economic and social status were assessed by the number of slaves he possessed. This type of slavery was known as domestic slavery and usually, many of these slaves were captives of war. But many of the slave owners on learning that European slave merchants were besieging Badagry with goods such as iron bars, cotton, wool, linen, whiskey, gin, metal wares, and assorted wines in exchange for slaves, wasted no time to bring their domestic slaves to Badagry with the hope of exchanging them for the listed items. It was confessed that the prospects of Trans - Atlantic Slave Trade fueled into tribal wars in Yorubaland as the kings and slaves who had taken part of the European slave merchants' offer, went all out to wage war on the other towns and villages with the sole aim of getting slaves to be exchanged for wine and guns." 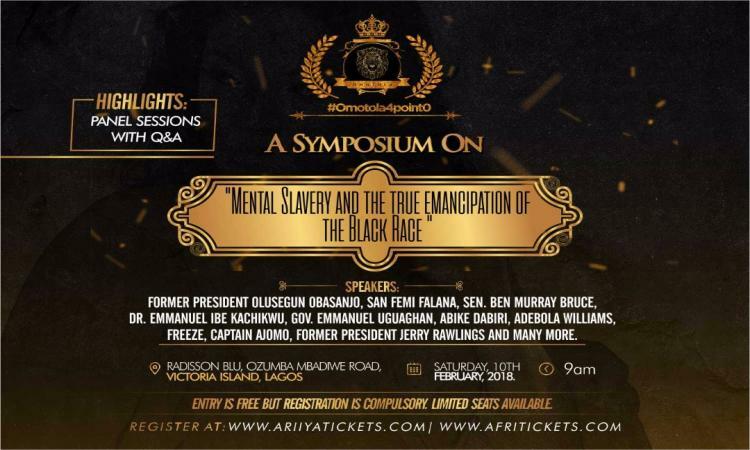 But how has the slave trade affected the mental faculties of the Nigerian till date? And Why has the black race and the African continent been the biggest liability to the world. This is beacuse Africans for generations have been made to believe that we are second class citizens of the world.This has hit the psyche of the Nigerian most especially. We have been brain washed to believe that our cultures and norms are second place. For instance, we celebrate Hollywood over Nollywood; we celebrate Angelina Jolie over the likes of Omotola Jalade; we trust their healthcare systems over ours; we value their education over ours and pay huge sums of dollars and pounds to get a foreign degree; we have doctors but travel abroad especially if among the wealth and political class; we have tagged our indigenous religions witchcraft and voodoo, something evil while we have embraced Christianity and Islam. Most recently, many Nigerians have paid their way to slavery as seen recently from news reports in Libya. I remember sitting at a Bar with a British Lawyer in Dubai. I was in town for the International Bar Association Conference but he was at that time working in the city. After a while into our conversation, he asked me where I was from and I responded Nigeria. He said, he knew I was Nigerian by origin but was asking where in the UK I was based. I told him I was based in Lagos and he looked in disbelief. I never forgot till this day when he said he never believed anyone out of Nigeria could speak so well. He told me, I speak well for a black person and must have been foreign trained because he could not believe an African who was raised in Africa could speak so well. Colonialization is another factor that totally disintegrated the Nigerian Spirit. The British colonized Nigeria in 1884. The British controlled Nigeria by using authoritarian systems and by being unafraid to use force and fear to keep Nigerians under control. In essence, the British empowered the political class and used them to control the populace. And the political class who wanted a sustenance of their status, used every way they could find to stay relevant and disenfranchise the masses. This is why it must not surprise you that the class of 66 is still in control of Nigeria till date. This has resulted in a dog eat dog society, where everyone strived to join the privileged few and the fastest way of making that achievement was by stealing wealth in the millions and billions. Because the richer they became, the more they became members of that elitist society. One will be called a big man and in public people will hail you not because they love you but because they want to be like u. Rich, corrupt, without decency and morals. A phenomenon that has continued till this day. The activities of the Nigerian political class made matters worse for the Nigerian nation. The political class reveled in squander, corruption, ethnic bigotry and a disregard for Nigeria’s economic and social realities. This resulted in a society where we have come to lack empathy for one another. We do not trust one another and are always suspicious of each other. For instance, If you are a member of my generation, you must be familiar with many of our parents who very realistic, they are parents who would say “do not marry anyone from the Ibo Tribe or the Yoruba Tribe or the Hausa Tribe. Some Yoruba parents go further to say do not marry ijebus, or egbas or ijeshas. And when you ask why? The would likely respond with reasons such as they are not trustworthy, they are fetish, their men are wicked, their women are too independent minded and so many others reasons. While we may not question their reality because it is borne from their experiences, we must note that it is not our own. The most pertinent question at this time is how can Nigerians carve a new identity for ourselves. To do so, I believe we must understand that we are not here to pleasure ourselves, we are not here to fix ourselves or take care of ourselves, we are not here solely to find means of making ourselves more comfortable, for there is something wrong that is not allowing us to find our greatest meaning. A new responsibility has been placed on the Nigerian, not anything new that we have not known before. But if we have ever needed to step up and take responsibility, we need it now. We must not tolerate the madness, we must not create another type of madness that allows us to say we are the ones that are sane. We have witnessed the rise of violence on the black man everywhere especially in the United States of America and Libya. We must not judge ourselves based on what we have done for ourselves but on what we have done for others. The big question therefore is how do we play our role in all of these struggles. 1. We must illuminate the African spirit, empower of the African character and liberate the African mind. 2. We must overcome the concept of black inferiority with the truth of black humanity. 3. We must reject the lie associated with black people. That we are inferior and 2nd class. 4. We must tell our story, like the saying goes; as long as the lion does not bot have an historian, the hunter will always be the hero. 5. We must realize that no one but ourselves can free our minds. 6. We must deploy a superiority equal to any other nation in the world. 7. We must let our light so shine that the world would see our good deeds, our impact, our contribution, our role to making mankind great. 8. We must ask questions on how we can be better, to take a second look at our environment. Look at our space in which we have accepted for hundreds of years and ask ourselves, what kind of components can we change. We must redefine our decency, our truth and our justifications going forward. 9. We must stop focusing on the little things that divide us but look rather at the improvements we can make to our environment. So when the people in the year, 2095 look that at the kind of impact that we made in 2018 and going forward, they would say the black race accepted a level of responsibility that has defined the kind of peace they have accepted and the race they have become. 10. Nigerians, most especially the youths must engage government and leaders continuously. Social media trends can be great for calling the attention of government to issues but it is not enough, especially when the energy is not channeled right. In our emotional emancipation, we must identify a healthy sense of self-esteem; to be free from all thoughts of mediocrity, to learn that we can compete as a nation, as a people on a global scale. We must see ourselves beyond the negative stereotypes. It requires no professional degrees or complex government structures, policies, agencies or investigative panel. It requires only a 4 letter word – CARE. You may be surprised at what sort of solution I am proffering but you would be surprised to learn that, something as simple as caring and kindness is far from us. Allow me to illustrate further, sometime a few years ago, while studying for my Masters in International Business Law in London, I was walking into a bank somewhere in the Stratford, East London. Their bank doors are not similar to ours, they do not have those intimidating security doors that’s takes one person at a time, it was just a glass door. The White lady in front of me held the door for me but I just walked through and let the door swing shut. But the person walking in behind me almost walked into the door. I immediately felt bad and realized at that point that I had failed in my social responsibility. I had to apologise to the person and always held the door for others behind me since that day. Further because I realized it was part of their culture to just look out for one another, irrespective of race or colour, a kind of social kindness I had not experienced before. But replay that same scenario in Lagos and you would get a different reaction. If you mistakenly go further to complain, you may get a response such “Oga, you sef no get eye”,” You no fit see say door dey there” or “na me be your gateman ni?”. Not surprisingly, 2 weeks ago, I was walking into church on Sunday and the I had to catch the door before it hit my face, because the gentleman who was ahead of me just let it swing shut without minding the faith of the person coming behind. Thank God say I get eye. But I reminded myself that day of our painful past and experiences, we have become an uncaring people and I don’t just speak about Nigerians, I speak about the black man as a whole. Going forward Nigerians must not see material realities as testimonies but as tools of effectiveness. Like my mentor, Olakunle Soriyan says, we must realize that it is the smallest of our character that makes a man acquire a thing and think that his life can be better because of it. We must audit our sense of mission and ask questions about our morality and what the material can represent. We must ask serious questions of our lifestyles. We must reject the impulsion to use our skill and position as a means of showcasing our nuisance value but use them for deeds that society can be grateful for. This is critical and must be done as a matter of supreme urgency.